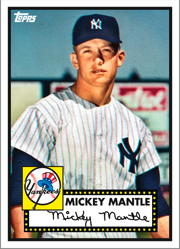 When you think of Baseball cards, you think of Topps. 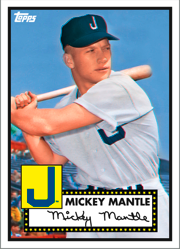 For over 60 years, others have come and gone, but Topps has been there, every year. 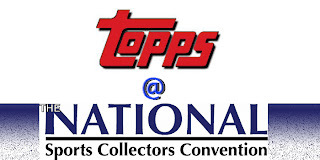 So it is no surprise, especially in the middle of the MLB season, that Topps would offer collectors going to The National, a concentration of Baseball items as incentives. Football fans need not despair, there are six of the top picks from this year's NFL draft that will be the subject of cards too. First incentive is exclusive to those who have purchased one of the VIP or SuperVIP Packages. 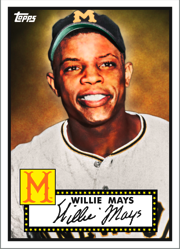 As part of the gift package, Topps will give away a 5-card set of 1952 style cards seen here. 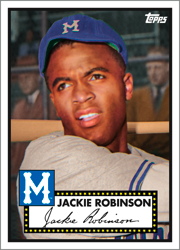 The set includes Mickey Mantle in his Joplin Miners and New York Yankees uniform, Babe Ruth in his Minor league Baltimore Orioles uniform, Jackie Robinson in his Montreal Royals uniform and Willie Mays in his Minneapolis Millers uniform. 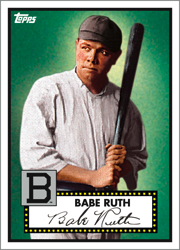 The other incentives Topps will offer include two different wrapper redemption sets that will be available exclusively at the Topps Booth. 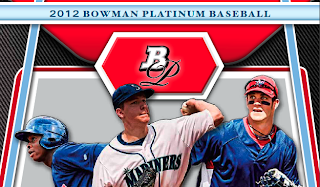 Collectors opening one full sealed Hobby Box of 2012 Bowman Platinum Baseball in front of a Topps representative at their booth can redeem their wrappers for a 25-card 2012 Bowman Platinum Blue Foil Parallel Set #’d to 499. This set will feature the brightest rookies and prospects in the game. And as a bonus, some sets will include randomly inserted autographed parallels featuring Bryce Harper, Yu Darvish, Dylan Bundy, Trevor Bauer, Bubba Starling and more. It will be best to hit this one early as this redemption will be limited to 100 sets per day and 1 set per person for the duration of the show. Even if you can’t get there early enoughin the day to snag one of the 100 daily sets, it will still be worth your while to bust a box or two of Platinum at the Topps booth. Any collector opening a box of Bowman Platinum at the Topps booth will be entered into a raffle for a chance to win a trip for two to Chicago to the Under Armour All-America Baseball Game. The prize package will include 4 days of Under Armour All-American Baseball Game festivities, a private tour of Wrigley Field and the All-America Banquet & Dinner, a workout for the All-American players and the opportunity to meet the hosts for the event, Cal and Billy Ripken, a scout showcase with over 100 MLB scouts who will all there to view America’s top talent and tickets to the Under Armour All-America Game. You will receive 1 raffle entry for every box you open. The winner of the raffle will be announced at the end of the show on Sunday. This redemption will be limited to 100 cards per subject per day. And each subject is limited to 1 subject per person per day. 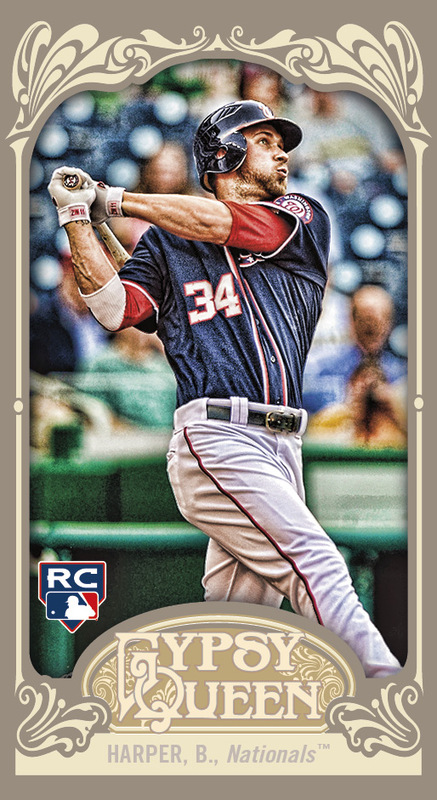 The National will also offer collectors the chance to purchase boxes of what is normally an online exclusive, the all-new 2012 Topps Mini Baseball. A limited number of boxes will be available at the Topps booth during the show. As a bonus, if you purchase a box, you will receive a special 5-card set of mini promo cards. The subjects include, Yu Darvish, Bryce Harper, Matt Kemp, Stephen Strasburg and Roy Halladay. 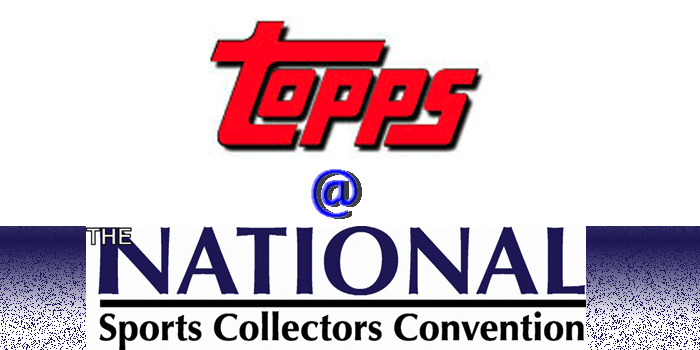 Topps will also host a special Meet & Greet where a question and answer period will be held. The first 150 people to sign up at the Topps booth will be invited to this event that will take place Thursday evening at the convention center from 5-7 PM. I will have more info on the National throughout the week.